Research and development activities have always been the beating heart of Rebernig Supervisioni. Rebernig is at the forefront in the development of customized hardware and software technologies, always offering its customers cutting-edge products, ready to experiment with new technologies and constantly looking for better efficiency and technological reliability, both for internal R&D activities and for custom projects for small and large brands. The activities involve challenges related to technological innovation in services, from electronic design to information technology. According to Rebernig’s vision, a team with know-how and vertical experiences in the worlds of electronics, control, automation and software, is able to better harmonize robust, functional and scalable solutions. 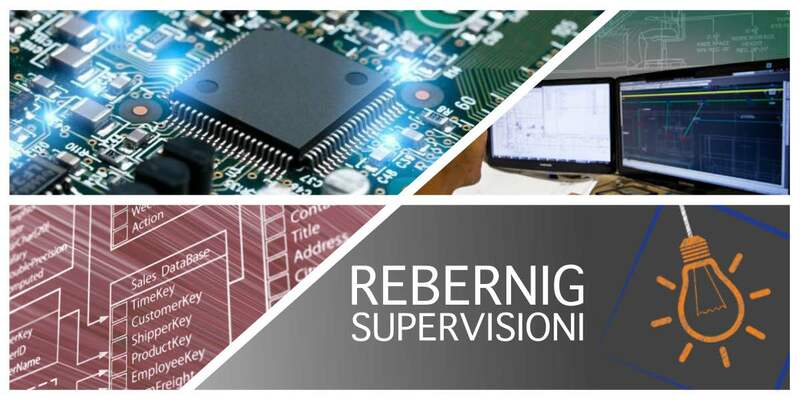 Since the beginning Rebernig Supervisioni has started research and development programs in collaboration with the Department of Electrical Energy and Information Engineering of the University of Bologna. Different degree theses have been performed at our laboratories and positions are always open for researchers and students oriented towards the development of research projects. automatic control systems for production plants, based on distributed and cooperating PLCs (including ABB) and HMI management panels with centralized intelligence. Rebernig wins where the need for collecting, communicating and managing data is integrated with the need to create robust electrical and electronic management systems, on the basis of the experience to date and the technical training gained in the fieldwork since the first day in the team.